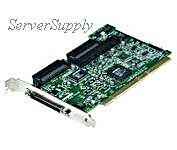 IBM - 06P5741 IBM - SERVERAID 4LX 64BIT 66MHZ PCI ULTRA160 SCSI CONTROLLER CARD (06P5741). CLEAN TESTED. IN STOCK.SHIP SAME DAY. 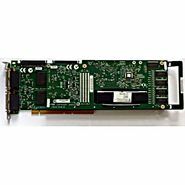 IBM - 06P2214 IBM - SINGLE CHANNEL 64BIT PCI ULTRA160 LVD SCSI CONTROLLER CARD (06P2214). NEW BULK. IN STOCK. SHIP SAME DAY. 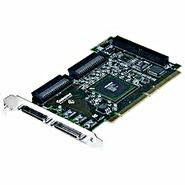 IBM - 06P2215 IBM - SINGLE CHANNEL 64BIT PCI ULTRA160 LVD SCSI CONTROLLER CARD (06P2215). NEW BULK. IN STOCK. SHIP SAME DAY. 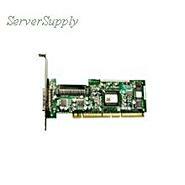 IBM - 06P5740 IBM - SERVERAID 4LX 64BIT 66MHZ PCI ULTRA160 SCSI CONTROLLER CARD (06P5740). CLEAN TESTED. IN STOCK. SHIP SAME DAY. 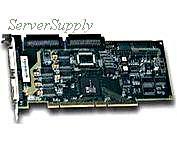 Adaptec - 1835000 ADAPTEC - 29160N SINGLE CHANNEL 32BIT PCI ULTRA160 LVD SCSI CONTROLLER CARD (1835000). NEW BULK. IN STOCK. SHIP SAME DAY. 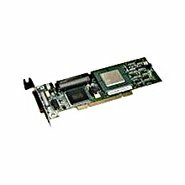 Adaptec - 1822300 ADAPTEC - DUAL CHANNEL 64BIT PCI ULTRA160 SCSI CONTROLLER CARD (1822300). NEW BULK. IN STOCK. SHIP SAME DAY. 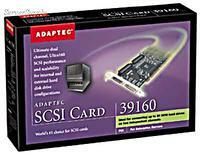 Adaptec - ASC-39160 ADAPTEC - DUAL CHANNEL PCI 64BIT ULTRA160 SCSI CONTROLLER CARD (ASC-39160). NEW BULK. IN STOCK. IN STOCK. SHIP SAME DAY. 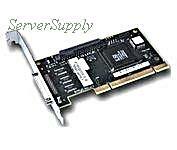 Adaptec - 1852400 ADAPTEC - 39160 DUAL CHANNEL 64BIT PCI ULTRA160 SCSI CONTROLLER CARD (1852400). NEW BULK. IN STOCK. SHIP SAME DAY. 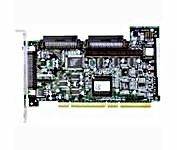 Adaptec - ASR-2110S ADAPTEC - SINGLE CHANNEL PCI ULTRA160 SCSI CONTROLLER (ASR-2110S). NEW BULK. IN STOCK. SHIP SAME DAY. 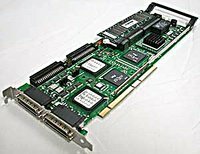 LSI Logic - LSI20160 LSI LOGIC - SINGLE CHANNEL 32BIT PCI ULTRA160 SCSI HOST BUS ADAPTER (LSI20160). NEW BULK. IN STOCK. SHIP SAME DAY. 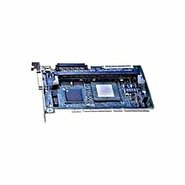 LSI Logic - LSI-20160 LSI LOGIC - STORAGE CONTROLLER - SINGLE CHANNEL - ULTRA 160 SCSI - 160MBPS - PCI (LSI-20160). NEW BULK. IN STOCK. SHIP SAME DAY. LSI Logic - LSI20160B-F LSI LOGIC - SINGLE CHANNEL 32BIT 33MHZ PCI ULTRA160 SCSI CONTROLLER CARD (LSI20160B-F). NEW BULK. IN STOCK. SHIP SAME DAY. IBM - 25P6273 IBM - SINGLE CHANNEL PCI ULTRA160 SCSI CONTROLLER (25P6273). CLEAN TESTED. IN STOCK. SHIP SAME DAY. Adaptec - 1835000-R ADAPTEC - 29160N SINGLE CHANNEL 32BIT PCI ULTRA160 LVD SCSI CONTROLLER CARD ROHS (1835000-R). NEW BULK. IN STOCK. SHIP SAME DAY. 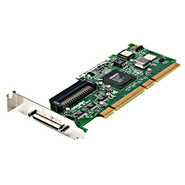 Adaptec - AHA29160N ADAPTEC - SINGLE CHANNEL 32BIT PCI ULTRA160 LVD SCSI CONTROLLER CARD (AHA29160N). NEW BULK. IN STOCK. SHIP SAME DAY. 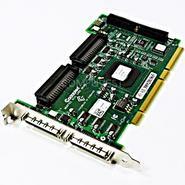 Adaptec - AHA-29160N ADAPTEC - SINGLE CHANNEL 32BIT PCI ULTRA160 LVD SCSI CONTROLLER CARD (AHA-29160N). NEW BULK. IN STOCK. SHIP SAME DAY. 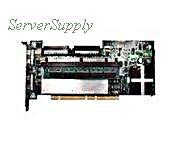 Adaptec - 2253700-R ADAPTEC - 39160 DUAL CHANNEL PCI 64BIT PCI ULTRA160 SCSI CONTROLLER (2253700-R). NEW BULK. IN STOCK. IN STOCK. SHIP SAME DAY. IBM - 25P6272 IBM - SINGLE CHANNEL PCI ULTRA160 SCSI CONTROLLER (25P6272). CLEAN TESTED. IN STOCK. SHIP SAME DAY. 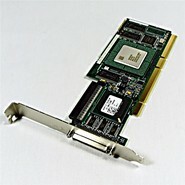 Adaptec - ASC-29160 ADAPTEC - SINGLE CHANNEL 64BIT PCI ULTRA160 LVD SCSI CONOTRLLER CARD (ASC-29160). NEW BULK. IN STOCK. SHIP SAME DAY. 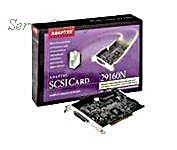 Adaptec - ASC29160 ADAPTEC - SINGLE CHANNEL 64BIT PCI ULTRA160 LVD SCSI CONTROLLER CARD (ASC29160). NEW BULK. IN STOCK. SHIP SAME DAY. 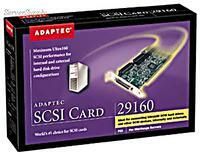 Adaptec - AHA29160 ADAPTEC - 29160 64BIT PCI ULTRA160 SCSI CONTROLLER CARD (AHA29160). NEW BULK. IN STOCK. SHIP SAME DAY. 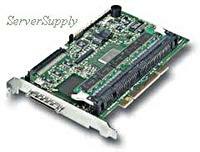 Adaptec - 29160N ADAPTEC - SINGLE CHANNEL 32BIT PCI ULTRA160 LVD SCSI CONTROLLER CARD (29160N). NEW BULK. IN STOCK. SHIP SAME DAY. IBM - 19K4646 IBM - SINGLE CHANNEL 64BIT PCI ULTRA160 LVD SCSI CONTROLLER CARD (19K4646). CLEAN TESTED. IN STOCK. SHIP SAME DAY. 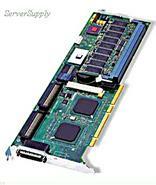 IBM - 37L6080 IBM - SERVERAID 4M DUAL CHANNEL ULTRA160 SCSI CONTROLLER CARD (37L6080). NEW BULK. IN STOCK. SHIP SAME DAY. IBM - 06P5739 IBM - SERVERRAID 4MX ULTRA160 SCSI CONTROLLER (06P5739). NEW BULK. IN STOCK. SHIP SAME DAY. 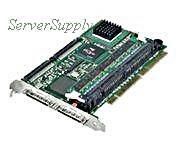 IBM - 37L7258 IBM - SERVERAID 4M DUAL CHANNEL ULTRA160 SCSI CONTROLLER CARD (37L7258). CLEAN TESTED. IN STOCK. SHIP SAME DAY. 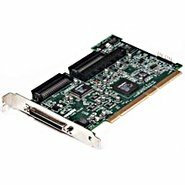 LSI Logic - LSI22915 LSI LOGIC - DUAL CHANNEL PCI ULTRA160 SCSI CONTROLLER (LSI22915). CLEAN TESTED. IN STOCK. SHIP SAME DAY. LSI Logic - 4932010232A LSI LOGIC - MEGARAID DUAL CHANNEL 64BIT 66MHZ PCI ULTRA160 SCSI CONTROLLER CARD WITH 32MB CACHE (4932010232A). CLEAN TESTED. IN STOCK. SHIP SAME DAY. IBM - 39R8832 IBM - SERVERAID STORAGE CONTROLLER 4MX ULTRA160 SCSI WITH BATTERY (39R8832).NEW BULK.IN STOCK.SHIP SAME DAY. Adaptec - 2253200-R ADAPTEC - 29160 SINGLE CHANNEL 64BIT PCI ULTRA160 SCSI CONTROLLER ROHS (2253200-R). NEW OPEN BOX. IN STOCK. SHIP SAME DAY. Adaptec - 2253400-R ADAPTEC - 29160N SINGLE CHANNEL 32BIT PCI ULTRA160 SCSI CONTROLLER ROHS (2253400-R). NEW BULK. IN STOCK. SHIP SAME DAY. 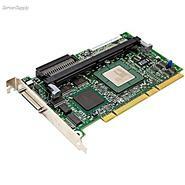 LSI Logic - 4932010264A LSI LOGIC - MEGARAID ELITE 1600 64BIT 66MHZ PCI DUAL CHANNEL ULTRA160 SCSI CONTROLLER (4932010264A). CLEAN TESTED. IN STOCK. SHIP SAME DAY. IBM - 37L6902 IBM - SERVERAID 4H ULTRA160 SCSI CONTROLLER CARD (37L6902). NEW BULK. IN STOCK. SHIP SAME DAY.